(1992) Chris Slay darting right whales 40 miles south of Cape Sable Island from the 38-foot boat, "Lucky 7". 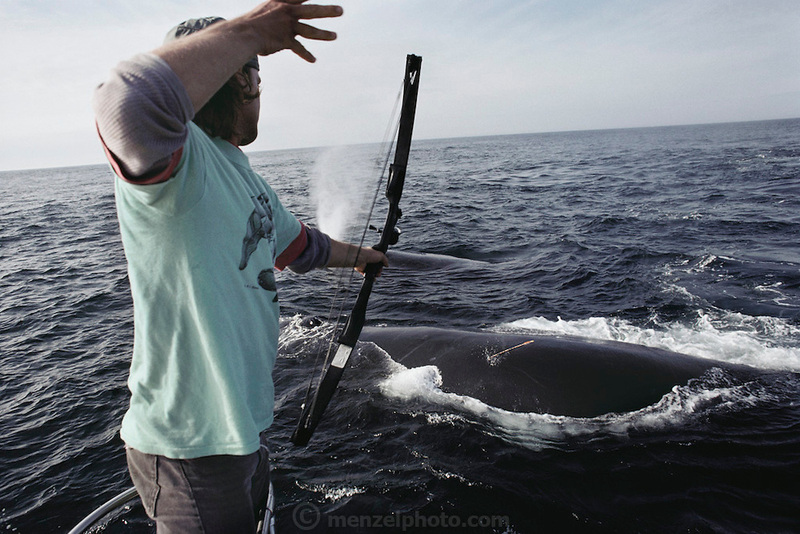 A bow and arrow are used to "dart", take skin samples from, right whales for population management study through DNA analysis. Some blubber samples are taken with hollow-tipped arrows. Nova Scotia, Canada. DNA Fingerprinting. MODEL RELEASED.